Bharti Automation Has a proven track record of developing test rigs for various applications. Nearly all major home appliance manufacturers in India are using test facilities developed by Bharti Automation in India.We have a state of art design centre in Delhi a prototype devlopment centre in Noida and Test and Assembly centre in Manesar.We have vast experience in development of Test Rigs for Automotive Industries also.We have Joint Ventres Partnership or Agreements with many Indian and International manufacturers to bridge the gap of the product ranges.We have our own team of software experts to build software programs for specific test application.We have exported testing rigs to various countries outside India and are running successfully.We have developed test rigs for various National and International standards.You jus name the standard and we shall be ready to guide you how to proceed for your test equpment requirment. We designs and manufactures a wide range of test systems for various industries. We have worked with some of the most well known names in Automotive and Machinery domain, across the world. Our machines help you simulate almost the range of mechanical loads for various scenarios. This includes a realistic as well as practical replication of real time operating environments as well as recording and plotting their inferences. We are offering Test Rig as custom built to check various parameters of components / subassemblies. Various examples are listed below. 1. 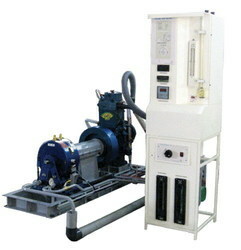 Centrifuge Test Machines For Acceleration Up To 5000 G.
2. Centrifuge For Biochemistry Laboratories. 3. 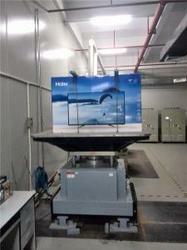 Drop Testing Machine To Check The Packaging Strength. 4. Pull Of Test Machine To Test Adhesion Strength. 5. 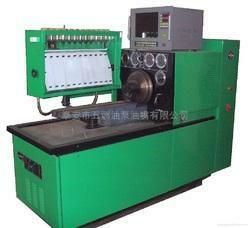 High Speed Spin Testing Machine For Speed Up To 60,000 RPM For Performance Testing Of Products. 6. Endurance Test Rig For Fatigue Testing Of Automobile Components. Bharti automation is a well known solution provider for manufacturing of water heater test laboratories.We undertake turnkey projects for setting up a complete lab facility for Indian and International standards.The laboratory comprises a Controlled codition chamber water flow control faicilities and a Data Acuisition system.A software is also provided to do the analysis of the data for any given standard and report generation is also provided accordingly by the software.We have supplied this facility to laboratories like UL and Saitco Saudi. 1. Atmospheric pressure in mm. of Hg. 3. Stable absolute vacuum for exhauster in mm of Hg. 4. Speed of expresser in RPM. 7. Crank vacuum in mm of Hg. 21. LP cylinder head temp - ºc mode. 23. Exhauster cylinder head temp. 28. Lube oil consumption in lit.min. A turbo charged engine can be more powerful and efficient than a naturally aspirated engine because the turbine forces more air, and proportionately more fuel, into the combustion chamber than atmospheric pressure alone. Our Turbo test system has effectively automated the control of multiple control loops, saving days of multiple variable manual tweaking for each test. It can carry out contrast test of inlet & outlet air pressure difference of various turbochargers and read the values and is also matched with computer to process data, display on the computer, store & print test results and wave form curve and achieve dynamic test of various models turbochargers. • Bearing behavior validation with different oil conditions. • High temperature VTG investigation, high temperature creep testing. • Slow transient mass flow and pressure ratio variations, endurance test. • Turbine exhausts gas inlet/outlet temperature and pressure. Thermal Conductivity Testing is a material property measurement associated with the ease or difficulty with which heat is conducted through a specific type of material. Materials that conduct heat readily with a small imposed temperature gradient have a higher thermal conductivity than materials that are more resistant (more insulating) to the flow of heat. Thermal conductivity is a pure material property independent of conduction-area or the material thickness. 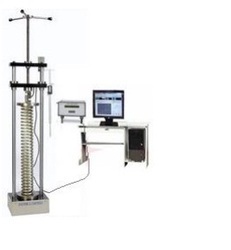 The guarded hot plate apparatus detected by protective insulation thermal conductivity at high temperature for fire-resistant insulation, ceramic fibers, carpets, textiles, plates, tiles and other materials, the thermal conductivity of the test. Widely used in universities, research institutes, quality inspection departments and the production of plant material analysis and detection. 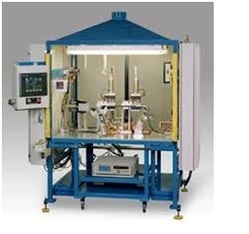 The instrument reference: ASTM C177- Standard Test Method for Steady State Heat Flux Measurements and Thermal Properties, method known as “Two-Slab Guarded Hot Plate Apparatus”. Other Industrial Standardized Tester can be developed on basis of IS 3346 and ASTM C518 also. · Thermal conductivity test Range: as per requirement. · Single type sample testing can be achieved. · Connected to computer automatic control, data processing, generating test reports and print output. 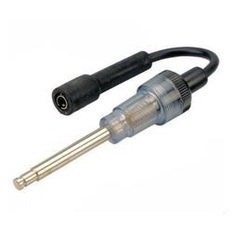 A headlight tester consists of an adjustable single optical collimated light lens assembly which is designed such as to prevent any distortion of the optical lens supporting structure during general use, such as when aligning the lens to the vehicle or manipulating the assembly along the rails. The test parameters show that illuminance at the eye is the dominant factor in glare produced by an oncoming headlight under these conditions, both for on-off- axis visual performance and discomfort. Further, for varying glare illuminances, there was found an interesting interaction between target contrast and discomfort ratings. Light source spectrum do not play a significant role in causing disability glare, but did significantly impact discomfort. Headlamp size plays no significant impact on discomfort or disability glare. Outfitted with standard RS-232 interface to facilitate networking and printing. Idler pulley manually-operated and convenient. Fast and accurate calibration using software. Small size, particularly suitable for automotive repair shop, passenger security door inspection, 4S shop lighting testing requirements. Laser Visor + Laser pointing system. Bed is a self-contained compact unit designed for easy installation and bench mounting. 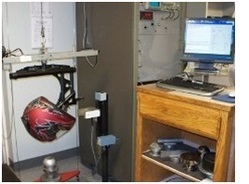 An eddy current dynamometer is used to load the engine. The dynamometer is provided with a manual control of the load. The test set is supplied with, as standard, a Robin engine which is a single cylinder, four stroke, spark ignited, air-cooled, side valve type of engine. This is a typical small engine commonly used in various industrial and domestic applications throughout the world. The engine and dynamometer are carried on a solid steel base plate resiliently mounted within a steel framework. Included within the framework are the fuel system, which incorporates a fuel tanks and valves, and the air induction system. The instrumentation and control panel are mounted on the front frame. An additional engine, four-stroke diesel engine is supplied and easily interchangeable with the standard engine to enable characteristics comparisons. This alternative engine is air-cooled single cylinder engine. Self contained, compact and easily installed bench mounted unit. Fully instrumented for air and fuel flow, temperatures, speed and power. Engine performance curve at full and partial load. Engine efficiency and fuel consumption variation with speed and load. Refrigerator is a product which is compulsory for energy efficiency testing. All manufactureres conduct in line and in lab testing for refrigerators. 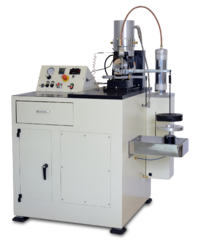 We manufacture test rigs for all such applications like Ref OQC, Ref ELT, Energy etc.Our facilities are in use with the names like LG Electronics, Haier, Videocon, National Refreigerator Saudi, Saitco Saudi, Starion, and so on.The facility comprises a test chamber which is kept at controlled condition and various kinds of sensors and a Data acquisition system.A software is provided to analyse performance of the refrigrator as per the standard given. We Supply Air Conditioner Performance Test Facility. We have supplied this facility to Videocon and LG Electronics.This faility comprises a Test Chamber a Data Acquisition System and a Software to acquire analyse and present the data.We can do the software part in any given standard. All hose tests are conducted in accordance with ASTM D-380. Suitable for various test mediums such as tap water, oil, an emulsion of both and many other liquids and gases. The Helmet Testing Equipment follows international industrial standards (such as FMVSS No. 218, British Standards Institution BS 6658, Snell M2000/ M2005, ECE 22.05, IS 4151 – 1993, 2745-1983, 2952-1984 & 9162-1980). These tests are designed to make sure that in the event of a crash, the helmet will remain intact, and will protect you in any worst situation. They are repeatable, measurable and include a fixed range of situations a helmet might reasonably encounter. At this point the concern of helmet testing does not include responses of the neck or body as they react with the head during a crash. A measurement of how a helmet reacts during an event to protect the wearer's brain is to be implemented. We provide a setup for variety of tests to determine the helmet's performance and ability to stay on the head in different environmental conditions such as ambient, wet, heat, cold. Depending on the application and the standard, the helmet must pass all or some of the following tests. Folding endurance measures the durability of paper (maps, bank notes, archival documents etc.) when repeatedly folded under constant load. The direction of the grain in relation to the folding line, the type of fibers used, the fiber contents, the caliper of the test piece etc., as well as which type of folding tester that is used affect how many double folds a test piece can take. A Schopper tester is used to determine the number of times a paper can be folded until it breaks. The folding strength is quoted as the number of double folds and the folding endurance is the log10 of the number of double folds. The ageing characteristics of a paper can be assessed by measuring fold endurance before and after accelerated environmental ageing. Digital Spring Testing Machine is designed for conducting load-deflection test on spring or other material in tension or compression. It is a hand wheel operated machine which uses a strain gauge based load cell with microcontroller based digital load indicator with tare and peak hold features for highly stable and accurate force measurement system. The displacement is measured using standard accurate digital vernier scale. The spring testing machine is a useful instrument for testing of compression or tension springs at low affordable price. Hand wheel screw road arrangement operated spring testing machine to load exactly at any desired load or deflection. Capacity from few grams to 5000KG using hand operated screw rod arrangement. Digital reading of Load/Force with long term stability. Digital reading of Displacement using accurate digital vernier scale. Other applications – load/deflection testing of variety of material such as foam, rubber, cork, packing material, and for application such as pull out force, actuation force measurement etc. Standard models are available with 250mm, 500mm and 1000 mm spacing. The bump test is also a useful vibration analysis technique to identify resonance frequencies in a machine's structure. It requires bumping or hitting the machine structure when the machine is in “OFF” condition. This allows you to measure its natural frequencies. It tests the integrity & rigidity of the object under the simulation of Road Transport condition. 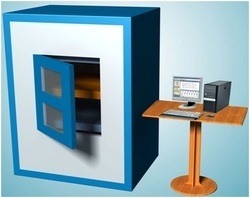 This computerized machine is a versatile test equipment to carry out bump tests in accordance with various IS, MIL-810F, DIN, EN, ISO, IEC, DEF and ASTM standards. · Bump rate - 60 to 180 bumps per minute. The Battery charger tester is to measures the energy efficiency of battery chargers coupled with their batteries. The term "battery charger tester" covers all rechargeable batteries and the chargers used with them. All types of rechargeable batteries are charged and tested, including nickel cadmium, nickel metal hydride, lead acid, and lithium ion. We provide custom designed testing solution to meet our customer’s wide ranging applications as per the requirements. The Hydraulic Cylinder Test Station has oxygen and nitrogen filled in seamless steel cylinders at high pressure ranging from 150 to 200 bars. 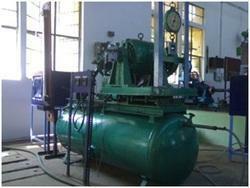 The Hydraulic Cylinder Test Station is subjected to various weather conditions. 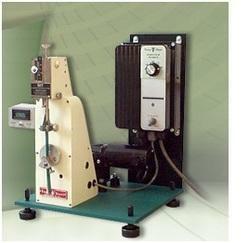 This Test Station is made of material that has a flexibility of expansion and contraction during pressurization. 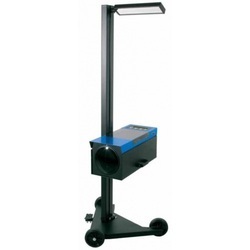 This Test Station is periodically tested for visual damages, weight loss and loss of elasticity. We provide a complete set-up of equipment for conducting a dependable and assured Hydraulic test for testing high-pressure cylinders, with hydraulic cylinder test systems, suitable for all weather conditions. These products are manufactured using qualitative raw materials using advanced technologies. High-pressure cylinders are required to be periodically tested for visual damages, weight loss and loss of elasticity. In view of the dimension of damage, which can be caused by a bad cylinder, being known, most people prefer to test these high-pressure cylinders periodically and is a mandatory requirement for safety. For various reasons the flexibility of expansion and contraction begins to deteriorate over a period of time. Similarly, on account of other conditions such as filling, handling, transportation and shop floor conditions, there are chances of weight reduction over a period of times. It may also develop certain other defects normally rendering a cylinder unsafe for use. -2 Nos. Pressure Gauges, (one pressure gauge is duly certified for Calibration - Master Gauge) pipelines, control value, scale, glass tube and value. -Motorized blower for cylinder drying. -Motorized Hydraulic Pump with motor, rail, belt guard, suitable for 350 Kg/cm2 test pressure specially designed for cylinder test station. -Cylinder Drying Stand for 6 Cylinders. Looking for Customized Test Bench SPM and Test Rigs ?